4 to 7 November 2017. On the spur of the moment Sally and I decided to revisit St Lucia – ever hopefully of finding the specials we missed 2 weeks previously. The specials being the Eurasian Oystercatcher and the Gull-billed Tern. We stayed at Sugarloaf campsite – taking advantage of the discount available. We do enjoy this campsite as the birdlife within is amazing. It is also very handy being right beside the boardwalk to the beach. 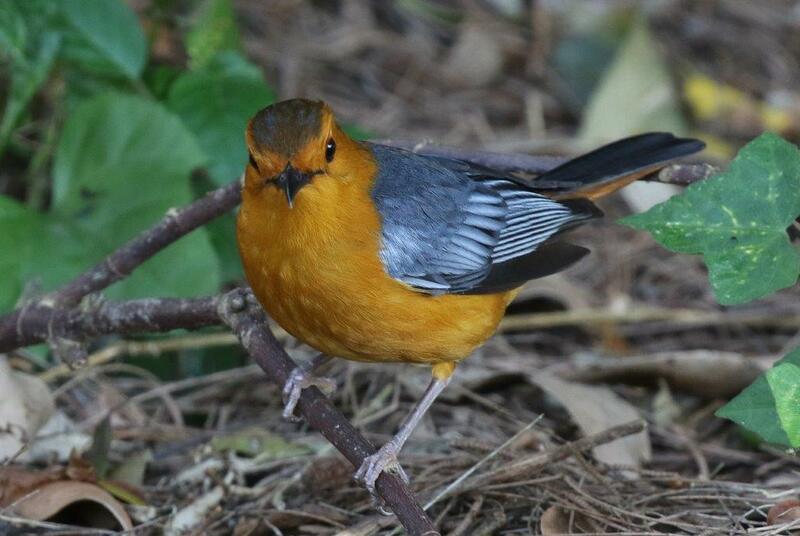 Birds are always about the campsite – we had a pair of Brown-Scrub Robins and a Red-capped Robin-Chat entertain us this time. Arriving early we set up camp quickly and went for a stroll along the beach and also next to the estuary. It did not take us long to realise that there were no Oystercatchers about. Terns were present on the mud flats but mostly Swift Terns with the occasional Little and Caspian Terns among the Pied Avocets and Grey-headed Gulls. Later on I went back without success. Bumped into several other birders on the search as I was heading back to the camp – suggested to them to sit and wait and perhaps get lucky – as Sally and I had done 2 weeks earlier with the Sooty Tern. Later on Sally and I put up the scope at the start of the boardwalk – scouring the sides of the estuary. 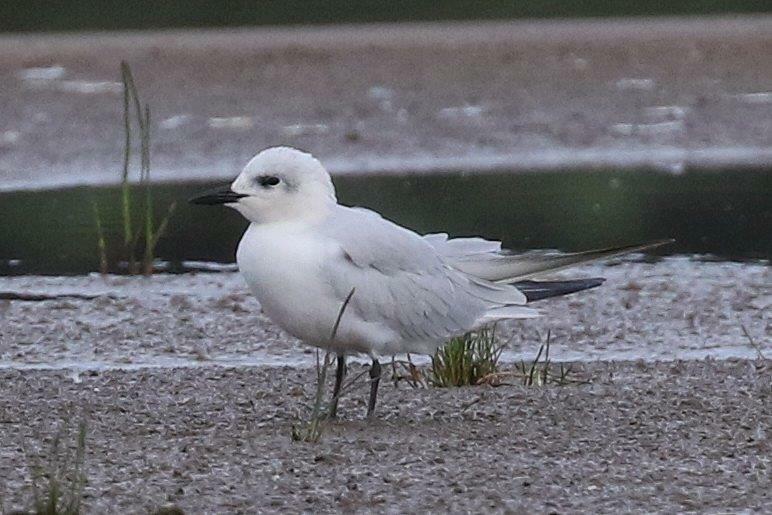 As we did so, one of the people I had chatted to earlier said he had taken my advice and waited with the Terns on the mud flats when out of nowhere the Gull-billed Tern appeared and he had a great photo of it too. Perhaps I should have taken my own advice!!! They had seen it at about 17h00. The next morning we got up early – ever hopeful and headed for the same mud flat. On first inspection there were very few Terns there and a number more further away with someone watching with their camera handy. Off we went and could not decide which set of Terns to check out first. So as we passed the first set we decided to check out the close ones first. It was 06h00. Sally peruses with the scope and almost immediately spots the Gull-billed Tern – alone with about five or six Swift Terns. Masses of other small waders were feeding nearby – Curlew Sandpipers, White-fronted and Kittlitz’s Plovers, Common Ringed Plovers, Sanderlings, the occasional Ruddy Turnstone, Marsh Sandpiper, Pied Avocets etc. We crept down to get a closer look but far enough away to make sure we did not upset the birds and send them scattering. The mud flat was between two sets of reeds – those on our left were at least 2 metres tall – I say this because later we noticed a Hippo walking our path and into the reeds where it disappeared completely. 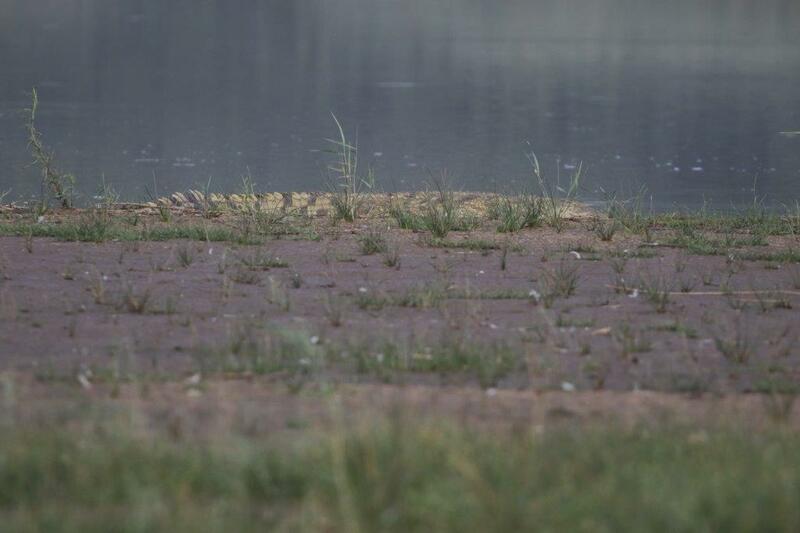 As it was there was a not so small Crocodile basking on the shore close to where we were watching the Terns. Scary thoughts, more vigilance and alertness is required. 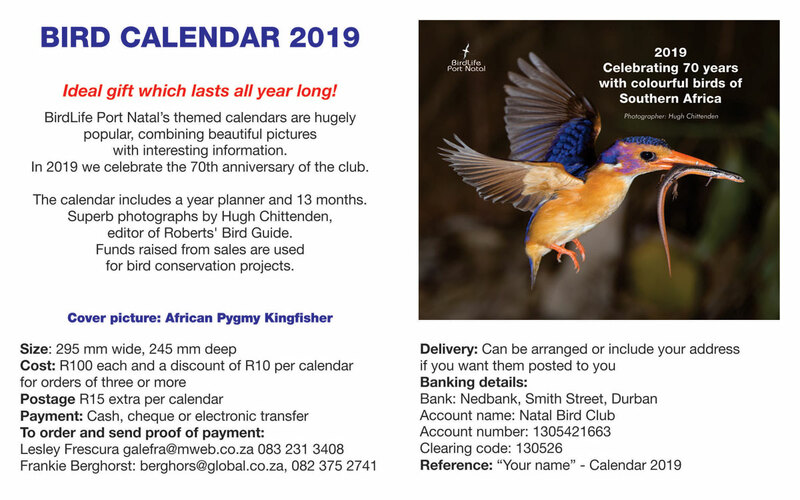 Try not to be remembered as a Dead Birder. While watching, all the birds took to the air for no apparent reason except that a Grey Heron had just landed amongst them. Of course all the Terns went too. We kept our eyes on the Gull-billed Tern and it looked as though it was on its way up the coast but it turned and came back – landing from where it left. We ended up spending 45 minutes with the bird until it flew off heading inland. While we were there, we had kept a look out for other birders to call them over but no-one showed – shame. 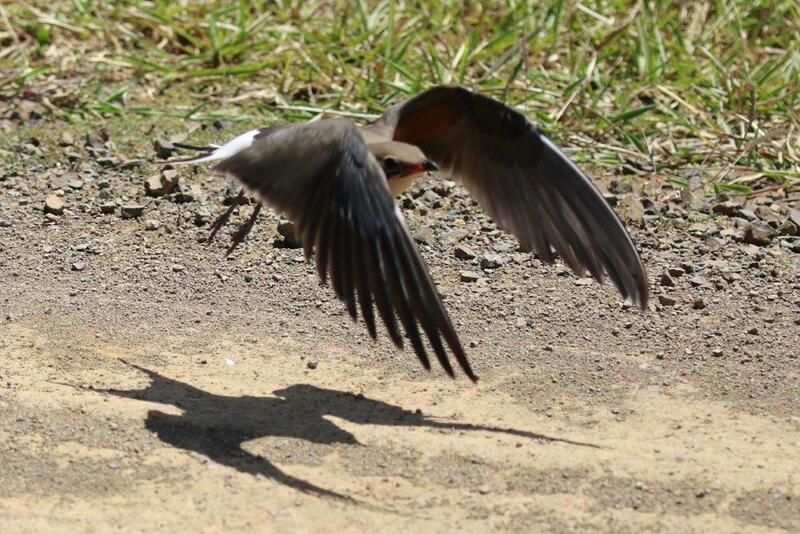 As we walked away about 6 Collared Pratincoles appeared on the mud flats – they must have been there all the time – shows how fixated we were. 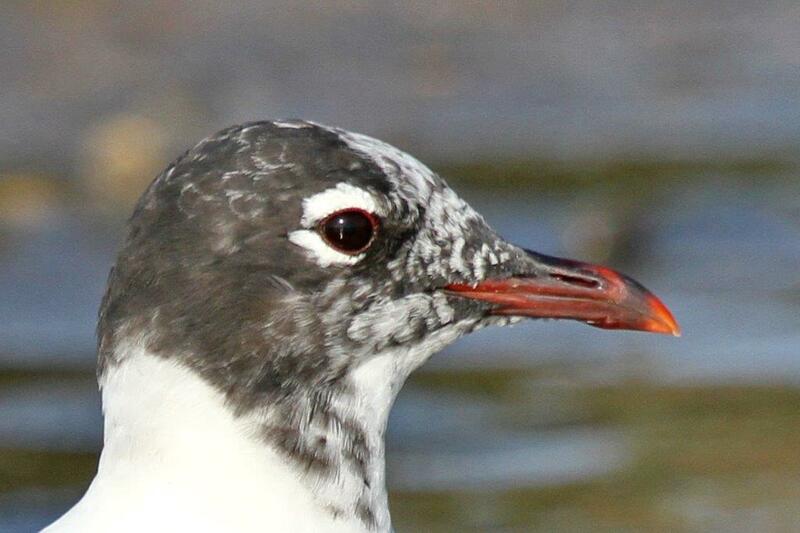 Now for the Eurasian Oystercatcher – such a good looking bird. However it was not till our last afternoon that we spotted any – three, but all African Black Oystercatchers – no Eurasian. On Saturday we walked almost 14 kms up and down the beach and over 16 kms on Sunday according to my FitBit!! Hard work on soft sand and sore leg muscles later. Monday was overcast, wet and windy so we headed into Eastern Shores instead after a cursory look at the mudflats with the scope – virtually nothing around. Changes have been taking place in the park and at long last the the broken bridge on the road beside Lake Bhangazi has been repaired. The bird hide at Mafazana Pan has a new entrance. There was water in the iMboma Pan and numerous hippos and a pair of visiting Rhinos. as well as birds. A new entrance to Eastern Shores is being built where the old one was and it causes chaos when more than 6 cars are waiting to get in – up to a three quarters of an hour wait. We got lucky on our third day of attempting as we were not prepared to hang around. We chose a Monday morning at 07h00. Birds were calling it seemed all day long – including Narina Trogons, Green Malkoha and Nicator. On the way back along the Red Dunes loop we stopped for a cuppa at the Lookout point. While enjoying our tea a Black-chested Snake-Eagle glided about us and was soon being bombed by a bird we could not identify. Initially we thought it to be a Buzzard but its tail is all wrong. What is it? 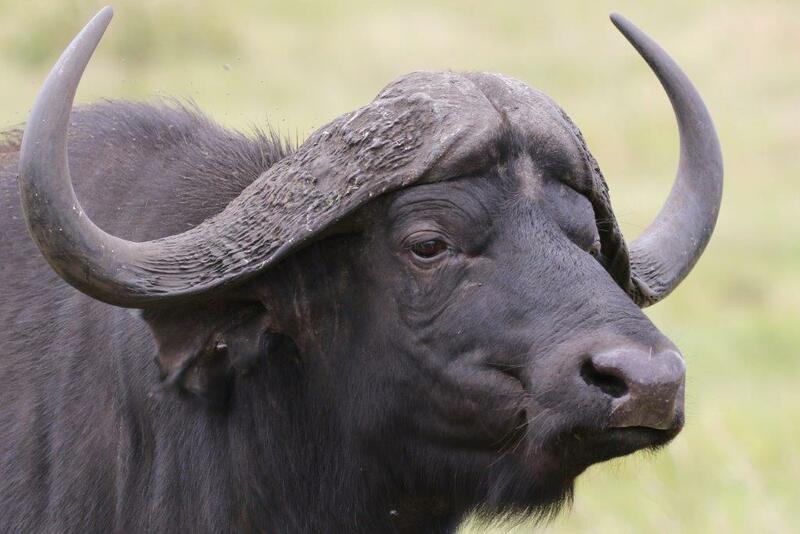 Animals were plentiful – Nyala, Zebra, Wildebeest, Giraffe, Eland, Buffalo, Reedbuck, the occasional Warthog and Duikers, few Impala and a lone Tsetsebe. The last night the drizzle arrived and we had a wet pack up in the morning – fortunately most of the pack up was done the previous evening. 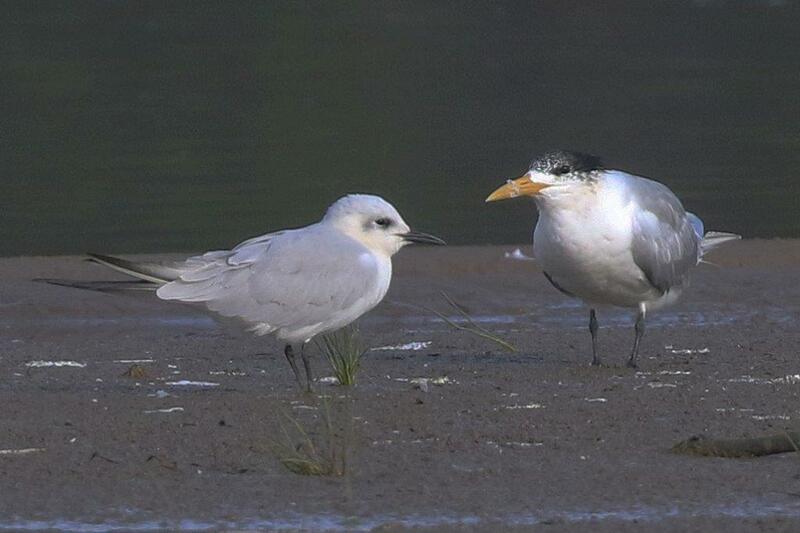 Our highlight on this visit was the Gull-billed Tern. This entry was posted in Home, Posts, Reports and tagged St. Lucia. Bookmark the permalink. 3 Responses to St Lucia revisited. Glad you got to tick the Gull-billed Tern!